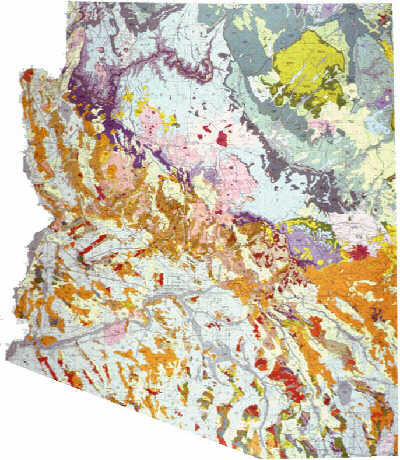 This geologic map of Arizona, by Steve Reynolds, allows you to click on either the northern or southern halves of the map to view the geologic map in more detail. From these maps you are able to click on an area to see that area in even more detail. Move your curser and click on the map. Use the return link at the bottom of each page to go backwards. What is a geologic map? This page will also give you an overview of the geologic setting of Arizona.